The limnological effects resulting from the metabolism of Egeria najas Planchon (Hydrocharitaceae) were evaluated in the arms of the Itaipu Reservoir (Brazil). 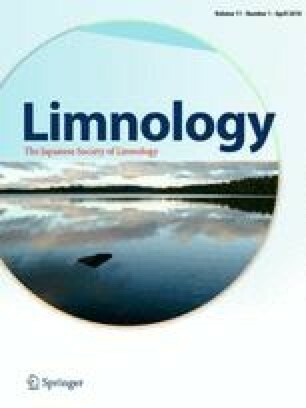 Due to local population decline in biomass and coverage, decomposition was the main process that accounted for the observed limnological changes. Thus, total Kjeldahl nitrogen and total phosphorus in littoral regions were significantly higher during periods of E. najas occurrence. After plant stands disappeared, concentrations decreased in all arms. The nutrient pump effect explains these results, and E. najas stands probably act as sources of nutrients, especially nitrogen. However, low concentrations measured after aboveground biomass disappearance indicate that the internal loading effect is ephemeral and restricted to the littoral regions subjected to the action of naturally senescing populations. The underwater light regime was negatively affected by E. najas occurrence. Overall, these results and the small areas colonized by E. najas in the arms of the Itaipu Reservoir indicate that ecological problems (e.g., reduction of biodiversity) derived from E. najas metabolism are unlikely. This work was funded by Itaipu Binacional and CNPq.